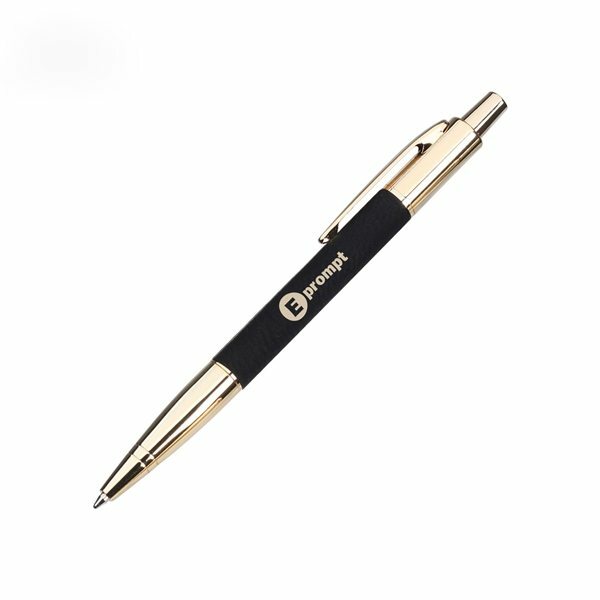 Push-action ballpoint pen with goldtone clip and points around a faux leather barrel. Liked the pen very much. Will probably reorder in the future. Making the purchase was simple even though I overlooked attaching my art, I received a call right away, to see if I needed help. Our account manager Rosa went above and beyond to work with us on our order to make sure that we found the product we were looking for at the price we could afford. She was excellent.